London stocks were set for a positive start on Tuesday following an upbeat close on Wall Street, as investors eyed a slew of key UK jobs data. The FTSE 100 was called to open 12 points higher at 7,210. Average earnings, the ILO unemployment rate and the claimant count are all due at 0930 BST. CMC Markets analyst Michael Hewson said: "With the pound on a seven-day winning streak against the US dollar today’s wages and unemployment data could well be the catalyst that either brings this run to a shuddering halt or sends the pound to its highest level since the day of the Brexit vote. "The data could also go some way to adding a significant piece of the puzzle with respect to whether we could see the Bank of England raise interest rates again when they next meet in a few weeks’ time. It has already been established that a significant number of Bank of England policymakers are expecting wages to start outstripping headline inflation in the coming months, and today’s average earnings number for the three months to February, could well be the first sign post on the way to that becoming a reality." In corporate news, Associated British Foods left its annual outlook unchanged as falling profit at the company’s sugar business caused a 1% decline in first-half profit. Adjusted operating profit for the 24 weeks to 3 March fell to £648m from £652m. The company said in February it expected the figure to be in line with the result a year earlier. Melrose Industries's takeover of GKN will be declared wholly unconditional later this week after the turnaround specialists received acceptances over more than 81% of the engineer's shares. As of 1500 BST on Monday, Melrose had received acceptances for its £8.1bn offer in respect of 1,406,130,769 GKN shares, representing approximately 81.8% of the total voting rights, up from the 52.4% that helped it seal the deal at the end of last month. Specialist emerging markets asset manager Ashmore Group updated the market on its assets under management for the quarter ended 31 March on Tuesday. 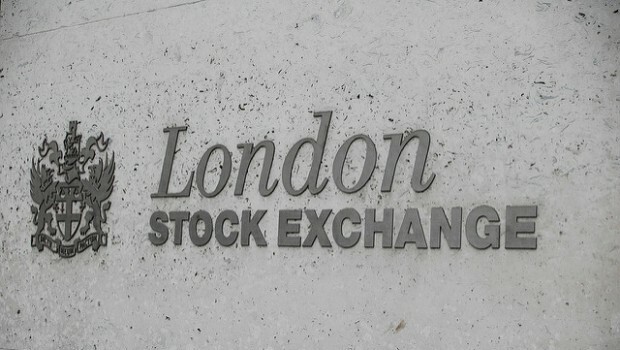 The FTSE 250 company said its assets under management increased $7bn during the period, with net inflows of $6.4bn and positive investment performance of $0.6bn. Its board said continued investor demand for emerging markets assets delivered net inflows in each of the fixed income and equities investment themes during the quarter, resulting in the strongest quarter for gross and net flows since June 2013.